Myra Castle-Bell has been selected as the new principal of Kelso Elementary School. Castle-Bell attended HISD schools, graduating from Jack Yates High School. She has 17 years of experience in HISD elementary and middle schools, beginning as a teacher and literacy coach at The Rusk School and Gregory-Lincoln Education Center. 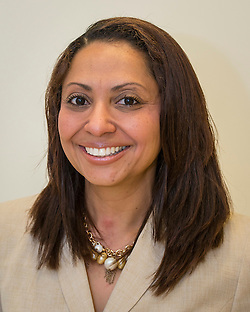 Castle-Bell then became an instructional specialist at Lewis Elementary School, and most recently served as assistant principal at Edison Middle School. She received her bachelor’s degree in Education from Prairie View A&M and holds a masters degree in both Guidance and Counseling and Educational Leadership. This entry was posted in Staff updates and tagged Kelso ES on September 27, 2016 by HISD Communications.